The Music Ministry at New Beginnings Ministries of Peoria serves God by using the musical gifts He gave our members. 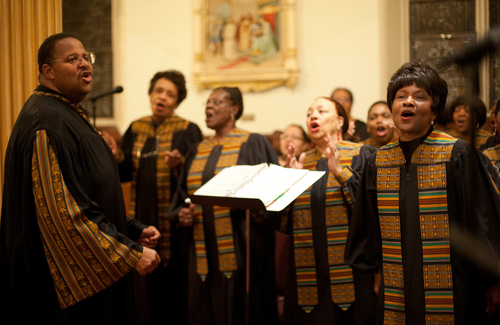 We believe our Music Ministry serves as one of the most vital ministries in our church. We view each calling or divine appointment to ministry, as a sacred office for our members to carry out. Discovering a call begins with a desire to be used by God to impact your church and the community. We encourage all of our members to seek the Lord for a vision conveying His Plan. 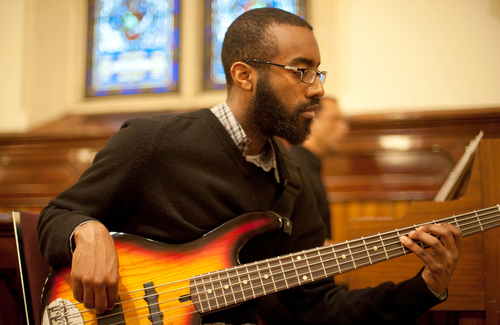 In addition, members who are called to our Music Ministry recognize they are a vital part of the body of Christ. They received a call from God because no one else can do what they do. Hear your call today and accept your appointment into our Music Ministry. The New Beginnings Ministries of Peoria family can be found at 3201 N.E. Madison Avenue. Give us a call today at 309-681-4688 to help us with our mission or if you need help. In order to get help from our Transportation Ministry, call at 309-681-4689. In addition, mail all donations and correspondence to New Beginnings Ministries of Peoria, P.O. Box 3273, Peoria, IL, 61612. Also, we hope you will click here to donate to the Nannie M. Johnson Community Center. Commit to use your musical gifts in the New Beginnings Ministries of Peoria Music Ministry today!